**OUR TRADE*** Delivered new in August of 2017. 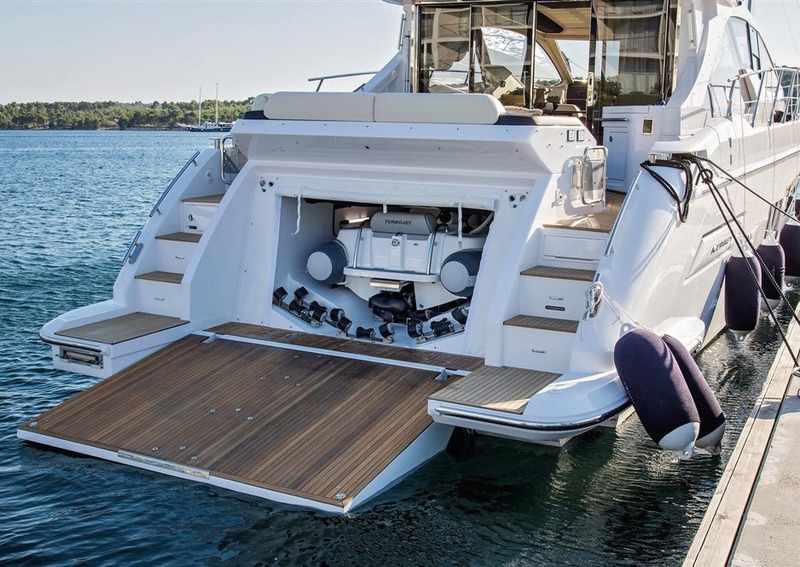 Loaded with options including Seakeeper, Raymarine GS electronics, top of the line a/v system, and includes a custom matched Williams 285 jet tender. Three stateroom, two head layout, as well as a crew cabin. 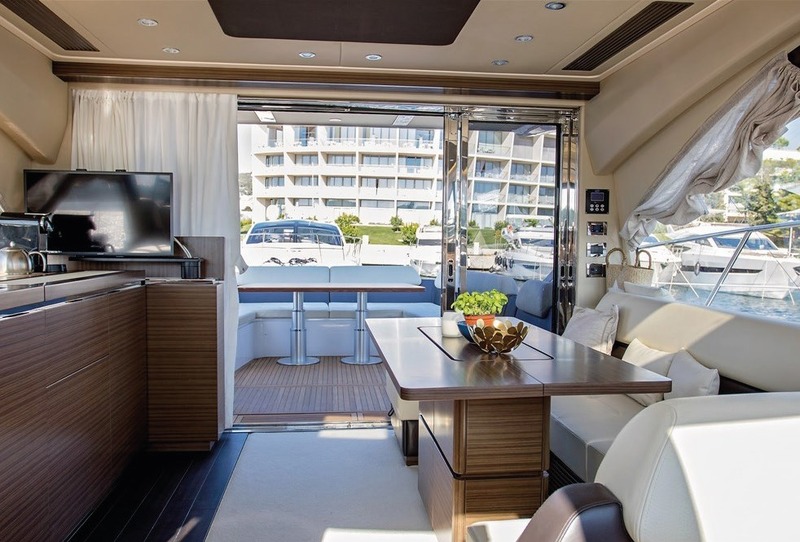 The full beam master stateroom boasts large windows to port and starboard brining in a great view and natural light. 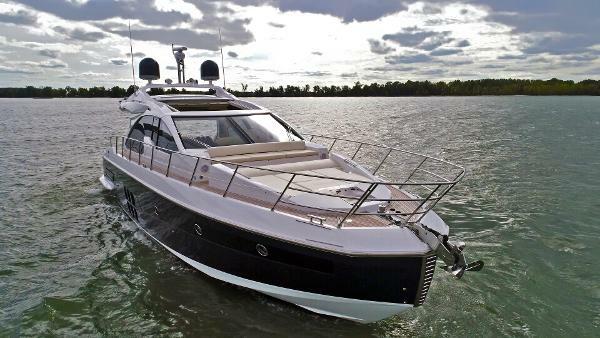 With Volvo joystick operation, and a bow thruster, including a rear docking station, handling this 55S is a breeze. She was captain maintained to the highest standards. The boat has been freshly detailed and is ready to go for her new owner. She is currently located in our heated showroom for easy viewing. 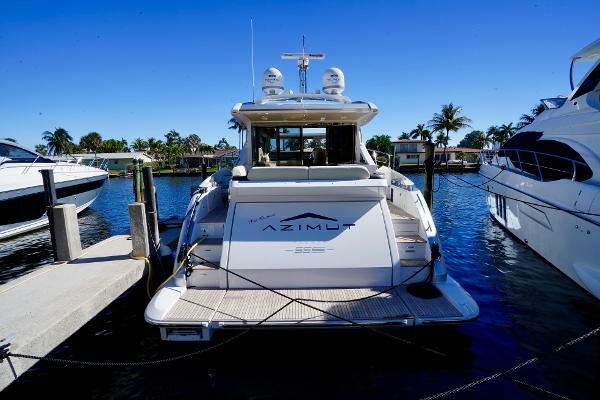 Call today for more information or to set an appointment to view this spectacular 55S. 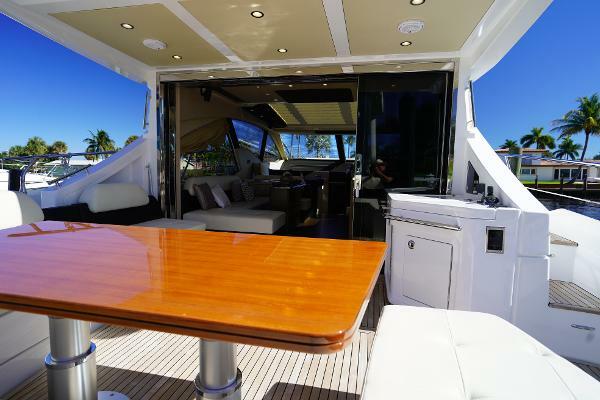 Topping out at 34 knots and featuring the beautiful “Miami Silver” hull color this highly optioned performance cruiser is available for immediate delivery! 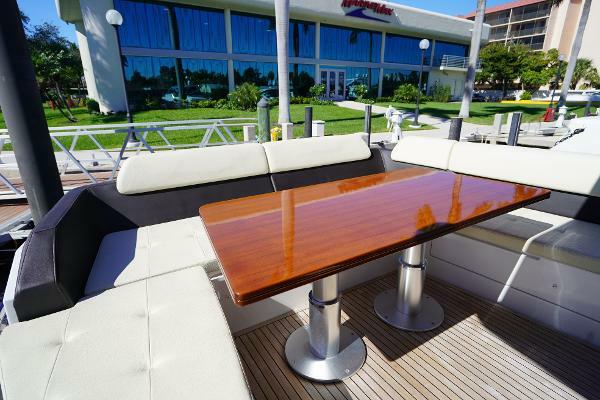 This vessel offers the “Sea Keeper” gyro stabilization, Satellite TV and top of the line Raymarine electronics package. 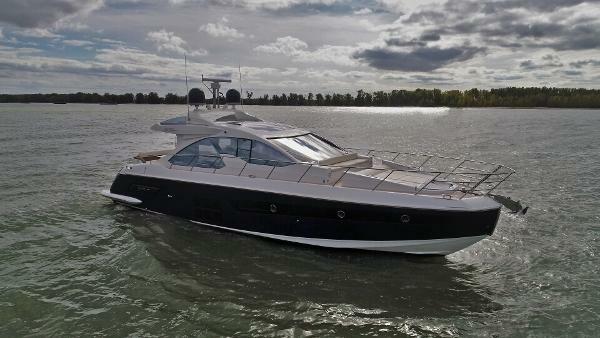 Powered by triple Volvo D6-IPS 600 with 435 hp each she will propel you at over 30 knots wherever you wish! 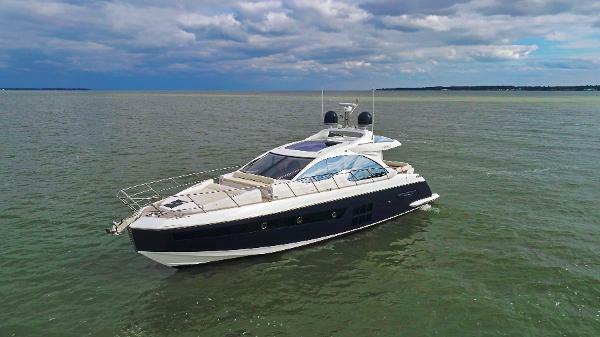 A successful blend of interior and exterior spaces, this 55S is a nearly flawless example of this popular design from Stefano Righini and Azimut.